Revellers, rebels and party animals: it’s almost time to don your shiniest garments, cover every inch of skin in glitter and get a little bit weird. Alive and kicking for the last seven years, Wilderness is merely hours away and – for those of you who will be gracing its pulsating pastures for the first time – the sensory overload of a lifetime awaits you. From the moment you pitch your tent, you’re gonna be itching to go and explore the wonderful sights, sounds and smells Banbury’s vast and magical rabbit hole has to offer. Overwhelming? Sure, a little. But fear not, cos we’re here to help. Here are five things you must do at Wilderness 2017. Starting from Friday night, the Valley introduces its visitors to a whole new realm within the festival. As you get yourself glittered up at the campsite or in one of the numerous crafty boutiques, the party will just be warming up. Hidden behind a graffiti-plastered barricade lies The Valley, a sizeable outdoor arena where the nighttime festivities fade into the early hours of the morning; with past DJ sets from Goldie and Jackmaster, this year will be overseen by the likes of Nightmares on Wax and Eats Everything. Prepare for mesmerising light shows and something unexpected around each and every corner. 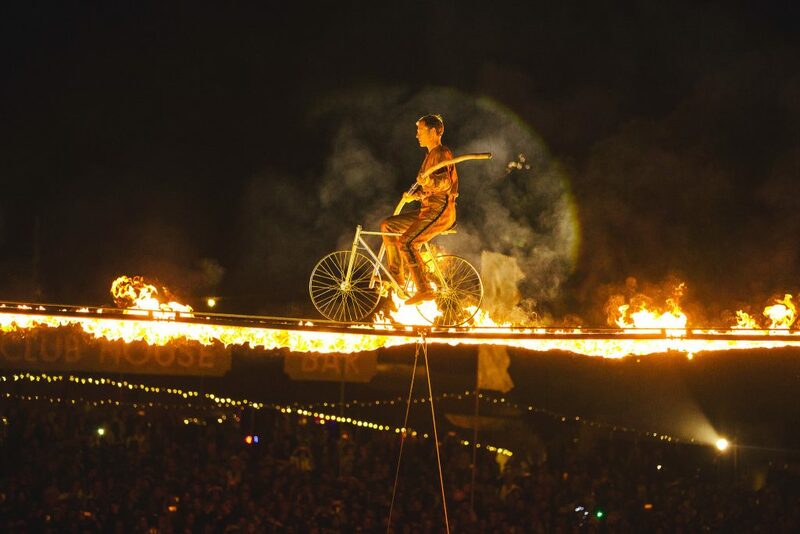 Last year, Cirque Bijou Divine wowed the masses with a harness-free performance on a flaming tightrope, complete with bicycles and acrobats. Sounds mad? It was – but it was one of the most jaw dropping shows those present had ever witnessed. Before the night’s adventures begin, the Saturday Spectacle takes centre stage and showcases everything that makes Wilderness as unique and magical as it is. This year, The Sacred Triangle with Chris Levine and Perry & Dave Clayton is set to put on the most cosmic display of lights and sounds yet. This one is better when left to the imagination – just make sure you don’t miss out. From the creators of the Juke Joint, the Love Hotel is Wilderness’ answer to a super secret underworld where letting your hair down and losing your inhibitions is thoroughly encouraged. Full of dancing, naughtiness and everything in between, the Love Hotel will be home to some of the best electro-pop, R&B and tribal-tropical beats the weekend has to offer. Visitors are encouraged to be as liberal as possible – with the very real chance to occupy one of the hotel’s vacant rooms. Basically, think Lady Marmalade mixed with Wes Anderson and then times it by ten-thousand. If there’s one thing that Wilderness nails every damn time, it’s the food. The festival is full of mouthwatering treats, dishes and snacks for you to feast upon and will definitely leave you feeling like the most indecisive person in the world. For those who are fans of curry and big fans of flavour, the Bhangra Bus is potentially one of the best places for you head. Set up in and old-school school bus, the street food vehicle serves a delicious and, most importantly, nutritious selection of meals, all at a reasonable price too. If that doesn’t float your boat, there’s a whole range of other cuisines to taste too. 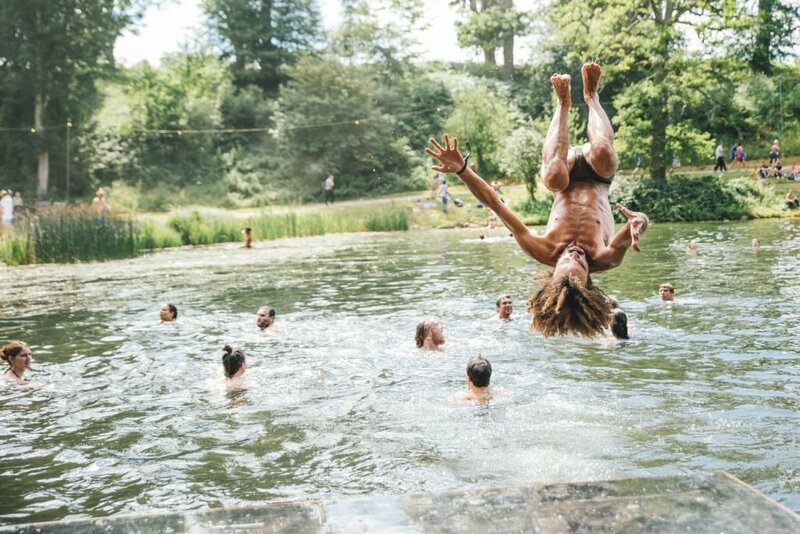 One of the best things about Wilderness is its natural lake, complete with mini waterfall and all-round good vibes. When you wake up on Sunday morning feeling less than human, the ideal fix is to head down to the grassy banks, throw on your cozzie and take a dip. You can spend as long as you like just floating around or maybe get your blood well and truly pumping by doing a few lengths. Either way, when the sun is out and the excitement of the day ahead is in the air, the lake is the perfect place to feel renewed and ready.